Mobile currently generates, on average, 30% of the global eCommerce sales. In the US, mCommerce accounted for only $115.92 billion last year, and according to Statista, the numbers are expected to grow almost threefold by 2020. 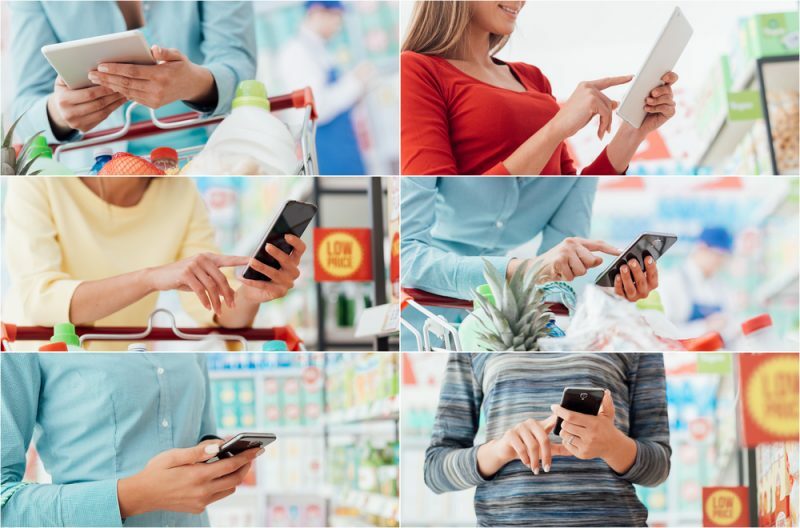 While there are many aspects driving mCommerce adoption, the functions and experiences (such as visual search or AR) available exclusively on mobile devices are the most obvious ones. So, what are the main trends fueling mCommerce adoption right now? How can startups, as well as established businesses, capitalize on them? What are some outstanding examples of the cutting edge technology application in mCommerce? Here is our review of the latest technology trends that could help your mobile commerce app stand out in this extremely competitive market, as well as some expert advice to consider. Compared to mobile web, apps still remain a less favorable option for most of the brand followers: only the most loyal customers will install and actually use the brand’s mobile app. Thus, the listed capabilities are not just “nice to have” for your mobile app. These innovative features might actually be the reason why users will want to install and use your app. Visual search is one of the features that can have a tangible impact on your app’s installs and user engagement. Being available on the web as well (take for example Google Image Search, or Pinterest Lens feature), this feature really shines on mobile. Let’s say, a person sees someone wearing a coat they would really love to buy, or goes window shopping and decides to find clothes similar to the mannequin’s standing nearby. In both cases, a mobile app allows a user to snap a picture of the item he/she likes and to instantly receive suggestions as to where to buy it. The user can browse different options, choose a suitable size/color, or even get the best price for the item. This wouldn’t be possible without mobile. Thus, one of the main benefits of visual search is that it can prompt a number of similar items, so a user will see several options to choose from. The items might differ in price, come in different sizes, or slightly vary in color, material, or even design. Thus, the user is more likely to actually buy something from you. Moreover, offering a better choice improves the customer experience and engagement. 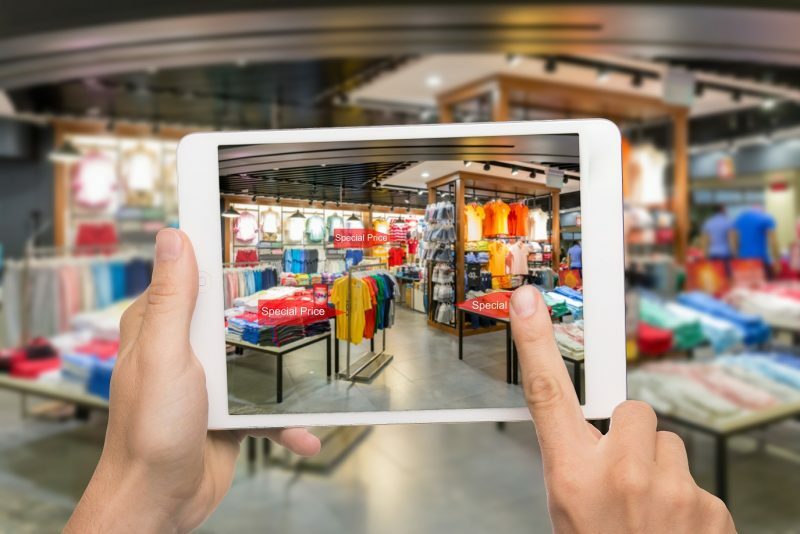 Cortexica is a great example of a company that managed to respond to the industry demand and introduce a solution for AR in retail. Their technology is currently used by a number of leading retailers, including Macy’s, Zalando, Rent the Runway, Tesco, and eBay, to bring visual search capabilities to their apps. ASAP54 – The app is a dedicated fashion search tool. It currently allows users to search for over 5 million products from 600 online stores. The app features a keyword search and image/photo search (plus it allows you to connect to Instagram and search for the items you see in your feed). 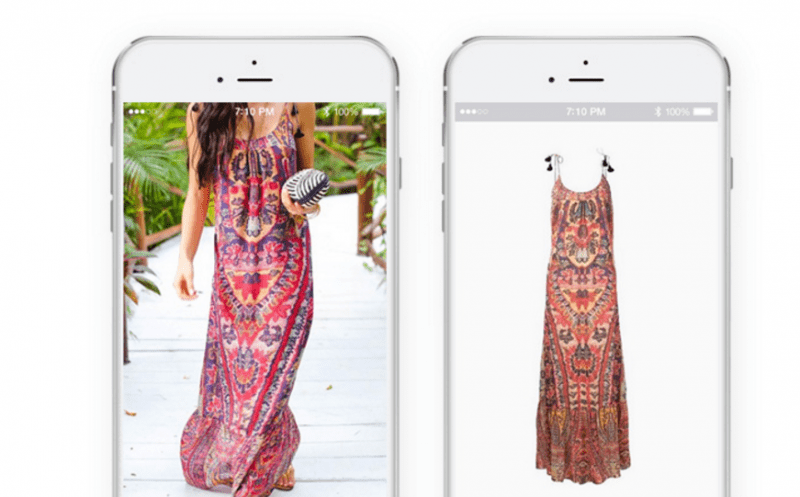 Snap Fashion is another shopping companion app that lets you search shoppable items by image. It allows you to filter search results by shape and color, and provides relevant products from over 16,000 brands. Slyce is positioned as the “one universal scanner for all of your visual search needs.” The technology is provided in the form of SDK and can be integrated with any retail app. Yet the company also offers several custom eCommerce apps (SnipSnap for coupon scanning, Slyce for visual search, and Craves for visual search with a social twist). Challenge: While it is relatively easy to implement a barcode or coupon scanning feature, fashion items are significantly harder to recognize from a photo. The item can look different depending on the light, on how the item fits the person, or even the pose of the person wearing it. Thus, being able to recognize dynamic objects is a challenge you need to pay attention to when building smart image recognition and visual search algorithms. The VR/AR technologies market is expected to reach almost $14 billion in 2017 (with a 130.5% growth rate compared to $6.1 billion in 2016). As for retail, investment in this sector is expected to grow at an annual rate of 238.7%, making it the projected largest AR/VR market by 2025. 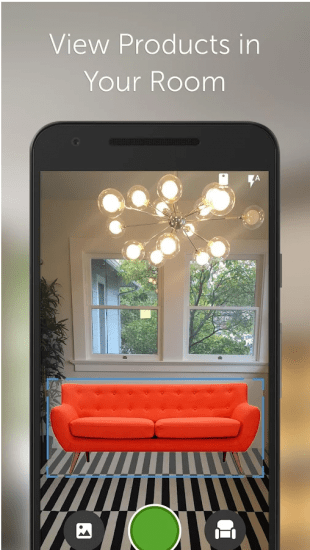 While in-store AR and VR technologies have almost become commonplace, augmented reality applied to mCommerce still has great potential to transform the mobile shopping experience. 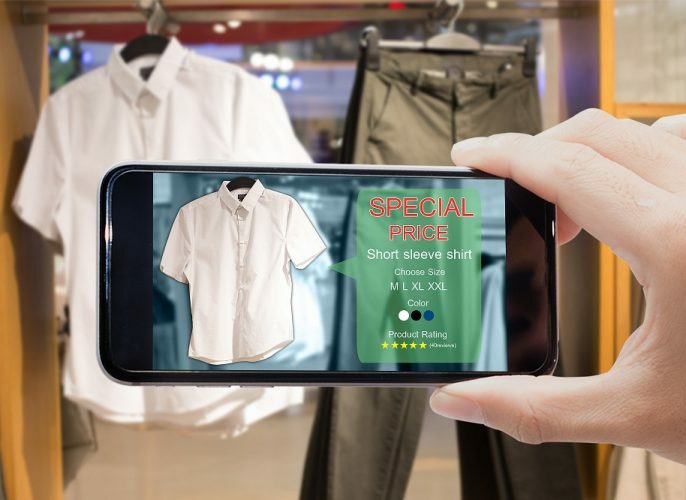 For example, an AR-enabled mobile app can help your customers “try on” an item without the hassle and cost related to actually shipping the product. By placing realistic 3D models of clothing, furniture, or even makeup products in a real-life setting, you increase the immersive experience, which are usually more memorable. Thus, AR implementation results in increased user engagement, loyalty, drives conversion and helps lower operational costs. Another opportunity for retailers in the AR/VR sphere is “sharable” content. By creating an outstanding, memorable experience and encouraging users to share the results with their friends, you can significantly increase the customer base and build a strong brand. Sayduck is a marketplace for furniture makers, retailers, and designers. It’s core feature, available exclusively in the mobile app, offers realistic 3D product visualization paired with Augmented Reality. This allows a user to see how an item would look like in real life and how it will match your interior. 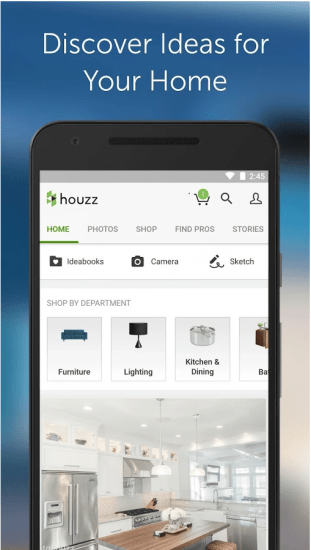 Houzz, a popular interior design portal, has recently introduced an Augmented Reality feature within its mobile commerce app to augment its mCommerce capabilities. Similar to Sayduck, the app allows you to put the items you want to buy into the real room setting using the smartphone’s camera. Gap, a leading US clothing retailer, has recently unveiled its new pilot app called the DressingRoom. Built in partnership with Google and AR startup Avametric, the app allows users to “try on” the products at home before buying them. Using 3D models of 5 preset body types users can actually see how the item fits and get a closer look at the item itself using their smartphone. Sephora, another famous US beauty brand, has also introduced an opportunity to try out the products before buying them. 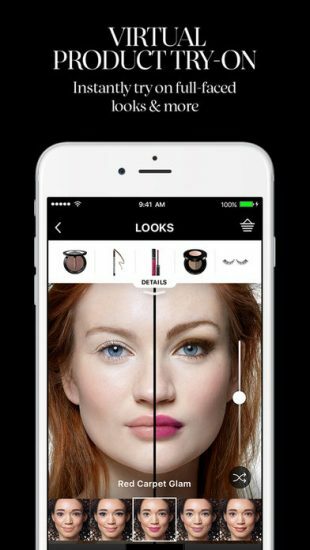 With its Visual Artist app, users can “apply” different beauty products and see how they look in real time, using the smartphone’s camera and Augmented Reality. The app also provides step by step live makeup tutorials in AR. Challenge: One of the most common challenges brands should consider when building AR and VR experiences is the hardware limitations. For example, the application by Gap mentioned above works exclusively with “Google Tango-enabled devices” (Lenovo’s Phab2 Pro, ZenFone AR). 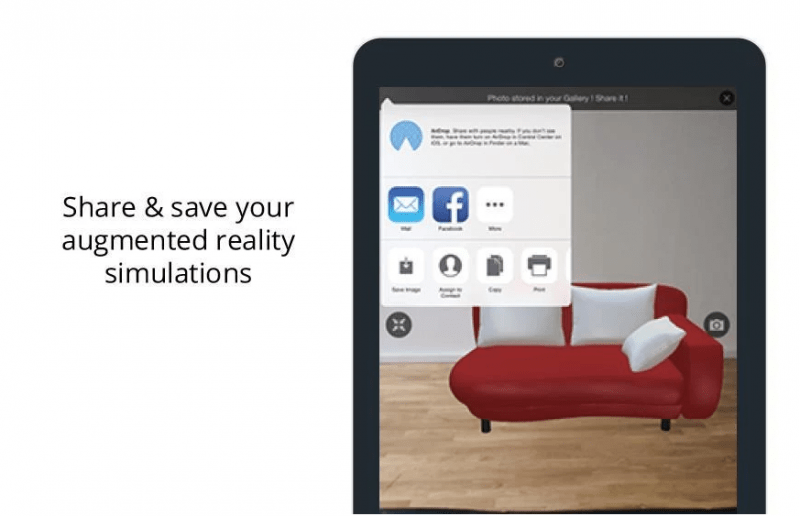 So the success and wide adoption of your AR solution will depend greatly on the technologies you use and supported devices. In this case, the Apple AR Kit might be a game-changer for many brands looking to build an AR app. According to Oracle research, 80% of surveyed companies will be using chatbots by 2020 (while 36% of them already have such solutions in place). Retail is no exception to this. By leveraging the power of AI and conversational interfaces, companies can create personalized and seamless user experiences, improve business efficiency and conversion, and offer more efficient and cost-effective customer service. 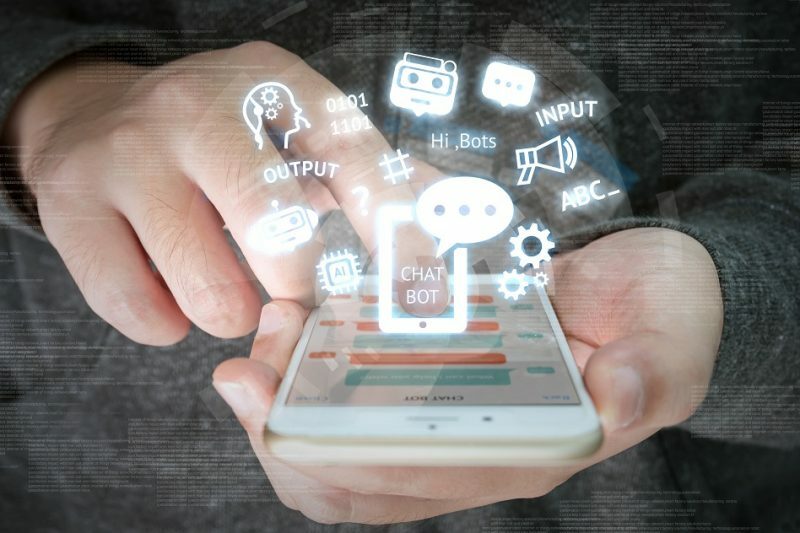 Chatbots, or their more advanced options, smart shopping assistants, can deliver a truly unique customer experience, contributing to the creation of better brand visibility and engagement. Such a human-like agent powered by artificial intelligence can serve as a perfect brand impersonation. Mona is probably the most popular personal shopping assistant. The app connects to over 300 online retailers, allowing users to purchase any item through an intuitive chat interface. This mCommerce app is powered by AI and can tailor product suggestions based on user preferences. 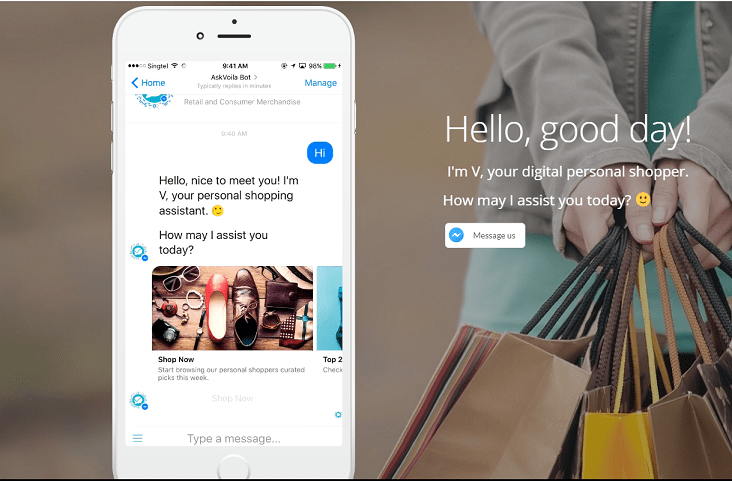 Very Assistant is a personal assistant chatbot launched as a part of the existing MyVery app by one of the leading UK retailers Shop Direct. While the app itself works just like any other eCommerce app, the Assistant augments the product with an automated customer support feature. AskVoila is a personal shopper assistant available on Facebook Messenger. The chatbot combines self-learning AI algorithms and human expertise to deliver curated product suggestions across a broad range of goods. Challenge: Among the main pitfalls retail businesses typically face with chatbots and personal shopper assistants are the limitations of AI (mostly the challenges in natural language processing), and UX specifics of conversational interfaces. Moreover, the capabilities of a chatbot depend greatly on the target platform and enabling technology. Read more about the best practices of chatbot app development here. Another application for AI in retail is predictive analytics and personalization. Namely, the Boston Retail Partners 2017 POS/Customer Engagement Survey finds that 70% of retailers list customer experience personalization as a leading priority for 2017. By collecting and analyzing customer data, mCommerce brands can source valuable insights and uncover hidden patterns in customer behavior. Thus, they can target users with personalized offers, predict conversion, and overall create more engaging, tailored experiences. 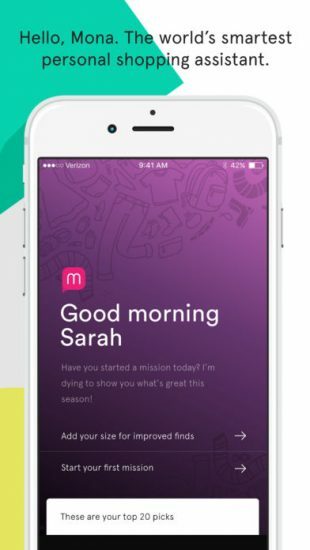 Mallzee, a popular European shopping app with a Tinder-like interface. By prompting the users to swipe left or right on the items on sale, the app is able to learn about user preferences and customize future product suggestions. Sentient Aware TM is an AI-powered recommendation and personalization engine for mCommerce. The platform integrates with eCommerce apps and learns about the users’ preferences instantly as they are using the app. Thus, Aware analyzes buyer intent and recommends products that match the customers’ preferences. Challenges: It usually takes time for an algorithm to learn about the user’s preferences, so the accuracy of personalization will only improve if a customer uses the app. The on-demand economy has already revolutionized a number of major service industries, and continues to disrupt retail. The success of such startups as Dollar Shave Club and Birchbox is a bright example of how on-demand, subscription services have transformed the way we shop. In addition to the obvious consumer benefits such as saving money and convenience, these types of business models have proven to be beneficial for retailers as well. By driving customer engagement and retention, they allow businesses to create stable revenue flows. Plus, the operating costs are typically lower as it takes only one interaction to set up a subscription. Here are some mCommerce applications capitalizing on this trend. Quiqup is an on-demand shopping and delivery service startup. With a mobile app, a user can order from a wide range of goods and have the purchase delivered directly to his/her doorstep. These apps offer convenient payment options including Apple Pay and an easy checkout process. StitchFix is a company offering personal styling services. With its mobile app or website, a user can request a Fix, a box with 5 hand-selected items, delivered. The user can try on and either keep the items or send them back. Although the app claims to be “non-subscription,” the experience is quite sticky and engaging with a steady inflow of orders. Birchbox, as mentioned above, is probably one of the most successful examples of how a subscription based model can be applied to retail. The company sends samples of different beauty products to subscribers on a monthly basis. Using the app or website, customers can then shop for full-size versions of the products they like. Challenges: The listed business models require a solid infrastructure and operations aside from the mobile apps themselves. You can read more about the challenges posed by the on-demand economy here. As you can see, leading retail brands and startup alike set the pace for innovations in retail. The listed trends are among the most promising opportunities a business can tap into right now with the prospect of significant ROI in the near future. By failing to keep up with the competition, you can put your whole business at risk. We at Eastern Peak have extensive knowledge of such cutting-edge technologies as AR/VR, Artificial Intelligence and Machine Learning, as well as chatbots. We have hands-on experience in building mCommerce apps and on-demand solutions across a number of business domains. With this we can confidently help you build successful products, be it a core business offering or a value-added solution to augment your business. To receive a personal consultation about custom mCommerce app development, contact us now. 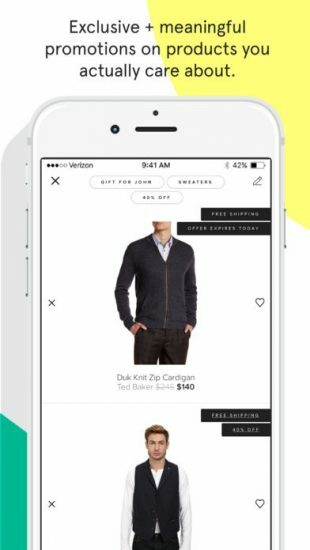 The post Best mCommerce Apps of 2017: Trends to Watch and Lessons to Learn appeared first on Eastern Peak.